Quite rare example of one of Italy's finest, digitally re-created and printed onto top quality vinyl. Set includes 2 x down tube, 2 x seat tube, 1 x head, 1 x world champ band, 1 x tubing decal of era, 1 x made in Italy. All printed decals should be lacquered over for a professional and permanent finish. Failure to apply the lacquer can result in premature wear to the print. Comprehensive instructions are available here on my web site, details of which will accompany the decals. I would advise against using these decals on a frame that has been powder coated unless this has been applied by a professional company who understand cycle frames and not the type who simply do 'iron gates'. Powder coating is without doubt a very tough finish, but can be difficult to adhere to, especially matt finishes. Best to apply to a stove enamelled frame, by an experienced frame sprayer. Set includes 2 x down tube (190 mm x 32 mm), 1 x seat tube (184 mm x 31 mm), 2 x Record Carbonio (103 mm x 10 mm). For Alan lovers the world over, full set of frame decals digitally printed using the very latest state of the art print facility. Set includes seat tube, down tube, head (x2), top tube, campione del monde stripes, plus bonus campagnolo and made in Italy to fully complete that project. Colour shown is only version and any background is white. Digitally re-produced and printed onto quality vinyl. 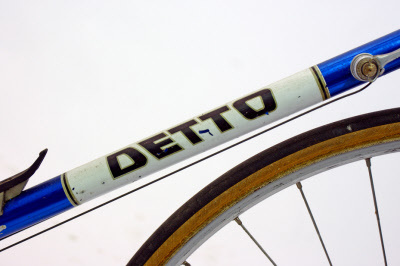 Famously ridden to many time trial victories by none other than Big Mig (Miguel Indurain). There were of course many versions of this produced by Pinarello for Indurain, this is but one of them. Big Mig rode various frames during his career, this one is from Pinarello and built in Oria tubing. The set includes 2 x down tube, 2 x seat tube, 2 x top tube, 2 x signatures (printed black onto clear), 1 x tubing decal for seat tube, 2 x tubing decals for the forks. Set includes 2 x down tube (201 mm x 28 mm), 2 x seat tube (146 mm x 29 mm), 1 x headbadge (55mm x 35 mm. Please note: headbadge is printed from a photograph and should be treated with care. Best to apply and lacquer over. Set includes: 2 x down tube, 2 x seat tube, 2 x top tube (Loto), head x 1, 2 x small head badges for the fork crowns. 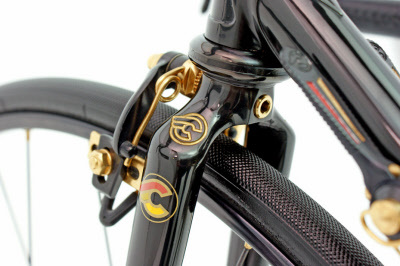 Columbus tubing and made in Italy and Basso tube Concept, chainstay protector. This set is for steel farmes circa late 80's/early 90's. NB please note, regardless of colour choice, the head badges and 2 smaller head badges will always be as shown. Set includes: 2 x down tube (268 x 20 mm), 1 x seat tube (170 x 70 mm), 1 x top tube (300 x 70 mm), (2 x top tube (Loto), head x 1, 2 x small head badges for the fork crowns,made in Italy, Basso tube Concept (choice of 2 colours, both supplied), Basso tube Concept chainstay protector. This set is for steel frames circa late 80's/early 90's. 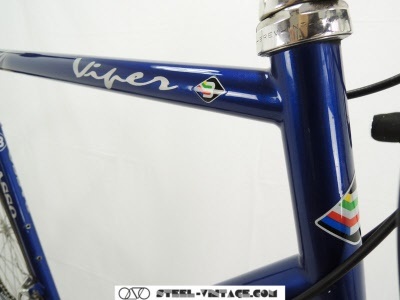 Set includes: 2 x down tube, 2 x seat tube, 2 x top tube (Viper), head x 1, 2 x small head badges,to sit alongside the name 'Viper'. 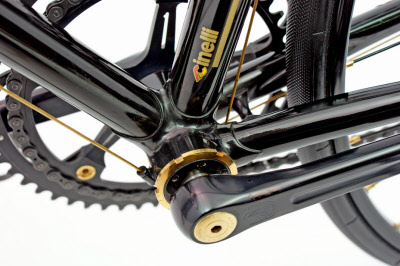 Columbus tubing and made in Italy and Basso tube Concept, chainstay protector. This set is for steel frames circa late 80's/early 90's. NB please note, regardless of colour choice, the head badge and 2 smaller head badges will always be as shown. Set includes 2 x down tube, 1 x seat tube, 1 x head, 3 x Columbus SL tubing (1 x seat, 2 x forks), plus made in Italy. Set includes 2 x down tube (256mm x 29 mm), 2 x seat tube (217 mm x 24 mm), 2 x headbadge (37 mm x 37 mm. Set includes 2 x down tube (200 mm x 20 mm), 1 x seat tube (224 mm x 22 mm), 2 x top tube (150 mm x 15 mm. Digitally re-produced and printed onto quality vinyl. Set includes 2 x down tube, 2 x seat tube, 2 x top tube, 2 x chainstays, 2 x seat stays, 1 x head. Also included are Columbus tubing and made in Italy decals. Set includes 2 x down tube (236 mm x 32 mm), 2 x seat tube (201mm x 27 mm), 1 x headbadge (48 mm x 30 mm). Set includes 2 x down tube (202 mm x 25 mm), 1 x seat tube (179 mm x 26 mm), 1 x head (93 x 14 mm), 1 x made in Italy, 1 x Columbus tubing. I have to say that I know very little about this manufacturer and there is not much information to be found. It appears that these frames were built in Brescia, Italy in the 70's from good quality tubing. Complete set for steel (28.6 mm) frame tubing, 1 x seat tube, 1 x down tube, made in Italy and Columbus tubing. This set also includes 4 x Italian separation stripes to be used elsewhere on the frame and can be cut to length to suit. These are full panel decals with a white background. If your frame has bottle cage eyes brazed on, possibly not suitable for you. Colour of main decals is black with a silver outline. Set includes 2 x down tube (207 mm x 28 mm), 2 x seat tube (187 mm x 28 mm). Set includes 2 x down tube (260 mm x 26 mm), 2 x seat tube (220 mm x 23 mm), 2 x top tube (190 x 19 mm), 2 x forks (98 x 10 mm), 1 x Carrera tubing, 1 x Made in Italy. Suitable for older steel type frames. Digitally re-produced and printed onto quality vinyl. Set includes 2 x down tube, 2 x seat tube, 2 x top tube, 2 x forks, 2 x seat stays, 1 Carrera tubing, 1 x made in Italy. Quite rare example of one of Italy's finest, digitally re-created and printed onto top quality vinyl. Set includes 1 x down tube (full panel), 1 x head, 1 x seat tube (as head),1 x tubing decal of era, 1 x made in Italy. These are red with a black outline. This is a full panel design, therefore the lettering and stripes are printed onto a white panel, so are not suitable for frames with brazed on bottle eyes. I can supply them without the panel if required. Set includes 2 x down tube (220 mm x 28 mm), 1 x seat tube-vertical (200 mm x 29 mm), suitable for older steel type frames. Please note: the black outline is printed and should be treated with care. Best to apply and lacquer over. Set includes 2 x down tube (216 mm x 18 mm), 1 x seat tube (201 mm x 28 mm) these items are contour cut in single colour with a clear background. Smaller logo's are: 4 x vertical (103 x 14 mm), 4 x horizontal (105 x 8 mm). These are solid colour. Outdoor life without lacquer can be up to 3 years, but all printed decals should be lacquered over for a professional and permanent finish. Failure to apply the lacquer can result in premature wear to the print. Comprehensive instructions are available on my web site details of which will accompany the decals. Set includes 2 x down tube (128 mm x 34 mm), 2 x seat tube (128 mm x 34 mm), 2 x headbadge (45 mm x 36 mm). 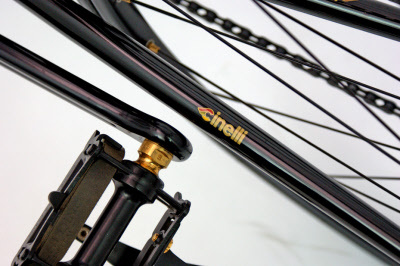 Classic Cinelli design with clear background. Please see 'Modern Italian' for new design. Set includes 2 x down tube, 2 x seat tube, 2 x toptube, 1 x tubing, 1 x made in Italy. Set includes 2 x down tube, 2 x seat tube, 2 x toptube, 1 x headbadge, 2 x signatures, 1 x club (under saddle rear seat tube), 4 small clubs. Please note: headbadge is printed and should be treated with care. Best to apply and lacquer over. Set includes 2 x down tube (white), 2 x seat tube (black), 2 x toptube, 1 x headbadge, 2 x large clubs (black), 2 x large clubs (white) 2 x small clubs (black), 2 x small clubs (white). Please note: headbadge is printed and should be treated with care. Best to apply and lacquer over. Complete set for steel (28.6mm) frame tubing, including down tube, seat tube, head, signatures, made in Italy and 2 versions of Columbus tubing. May not be suitable for newer frames with brazed on bottle eyes. Also included, bonus Campagnolo record decal. Set includes 2 x down tube (270 mm x 25 mm), 2 x seat tube (180mm x 20 mm), 2 x toptube (120 mm x 12 mm)1 x headbadge 56 mm x 39 mm), + 1 small vertical (90 mm x 10 mm) Please note: headbadge is printed and should be treated with care. Best to apply and lacquer over. Complete set for steel (28.6mm) frame tubing, including 2 x down tube (195 x 25 mm), 2 x seat tube (193 x 31 mm), 2 x forks (95 x 16 mm), 2 x seat stays (95 x 16 mm), 1 x head (53 x 40 mm), 1 x made in Italy. This design I took from a frame which had a red/gold blended design for the decals, which I have simplified to standard colours. Set includes 2 x down tube (182 mm x 23 mm), 2 x seat tube (171 mm x 29 mm), 2 x toptube (128 mm x 15 mm), suitable for older steel type frames. Now includes head badge, Columbus tubing and made in Italy decals. Set includes 2 x down tube (250mm x 20 mm), 2 x seat tube (200 mm x 16 mm), 2 x headbadge (37 mm x 60 mm. Set includes 2 x down tube (172 mm x 27 mm), 2 x seat tube (146 mm x 25 mm), 2 x headbadge (15 mm x 90 mm. Please note: these decals have a printed keyline (outline) and should be treated with care. For optimum results, best to apply to painted frame and then lacquer over.